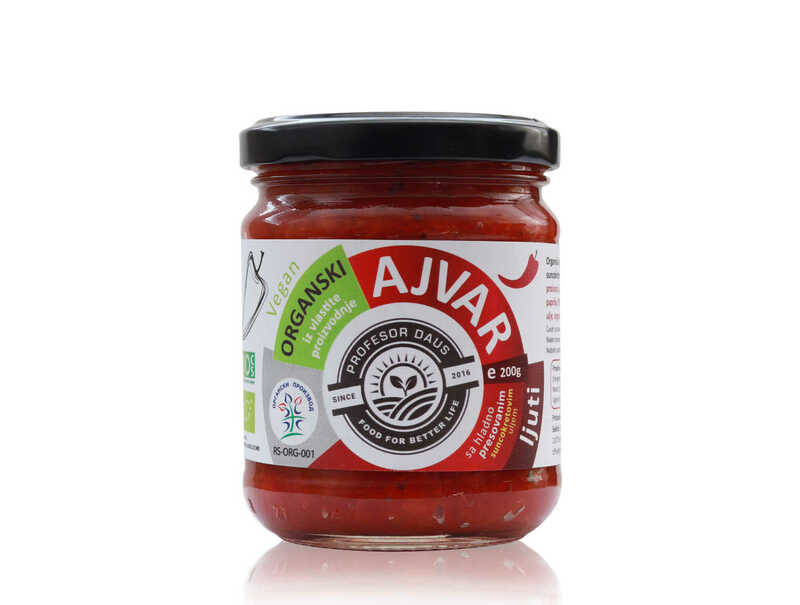 The unique traditional product from organic roasted red peppers - Ajvar is prepared in the fall, making use of the abundant harvest of red bell peppers, which are charred over a fire, peeled, and combined with cold pressed organic sunflower oil, apple vinegar and salt. It's usually served alongside grilled meats, but can also be enjoyed on its own or as a spread. 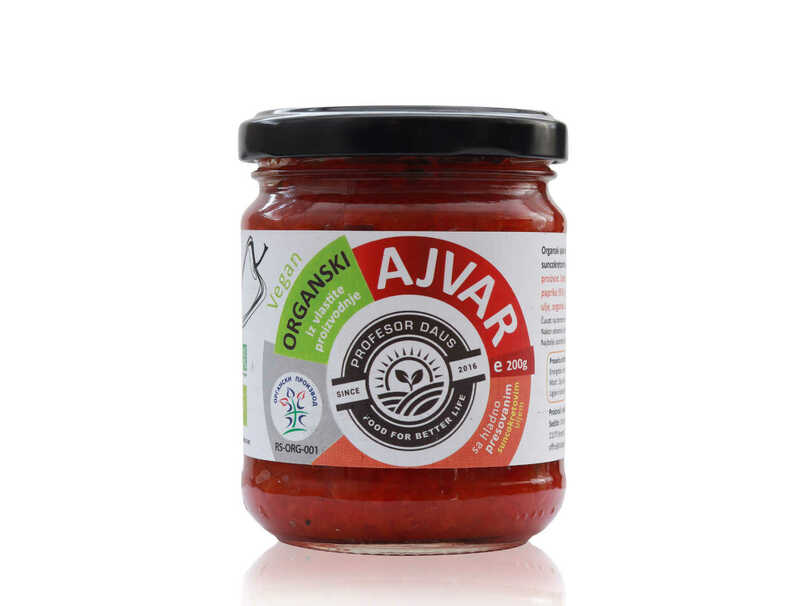 The unique traditional product from roasted organic red peppers and with the addition of hot peppers - Ajvar is prepared in the fall, making use of the abundant harvest of red bell peppers, which are charred over a fire, peeled, and combined with cold pressed organic sunflower oil, apple vinegar and salt. 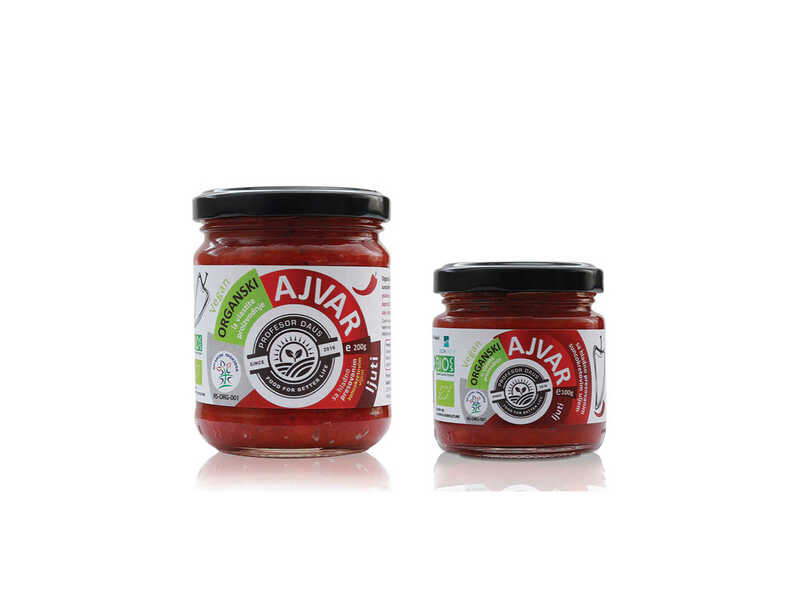 It's usually served alongside grilled meats, but can also be enjoyed on its own or as a spread. A unique traditional product of baked organic eggplant - Eggplant is a great source of folic acid, potassium, manganese and fiber. It is also a good source of copper, phosphorus, magnesium, pantothenic acid, vitamin C, K, B6, niacin and thiamine. Due to the low calorie value, eggplant is the ideal food for obese people, as well as diabetics. 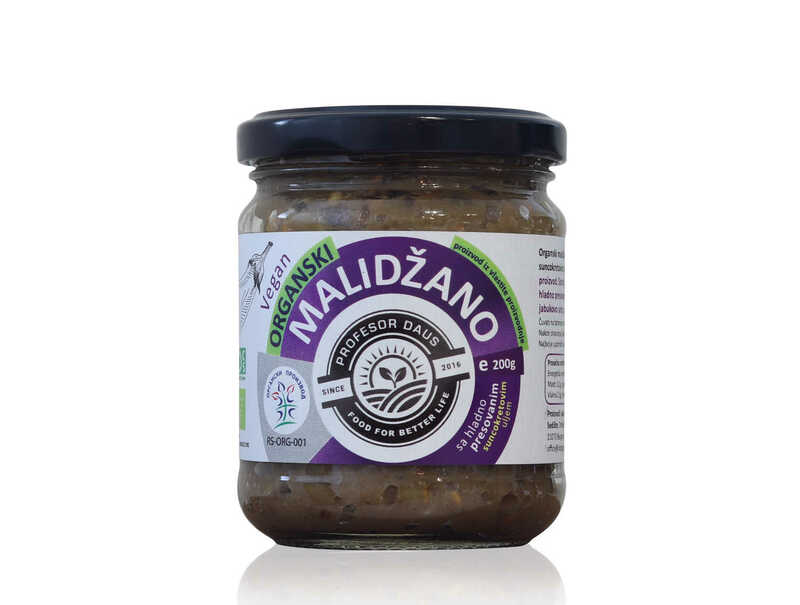 Malidzano usually occurs as a spread, an addition to other spreads, pastas and flesh. 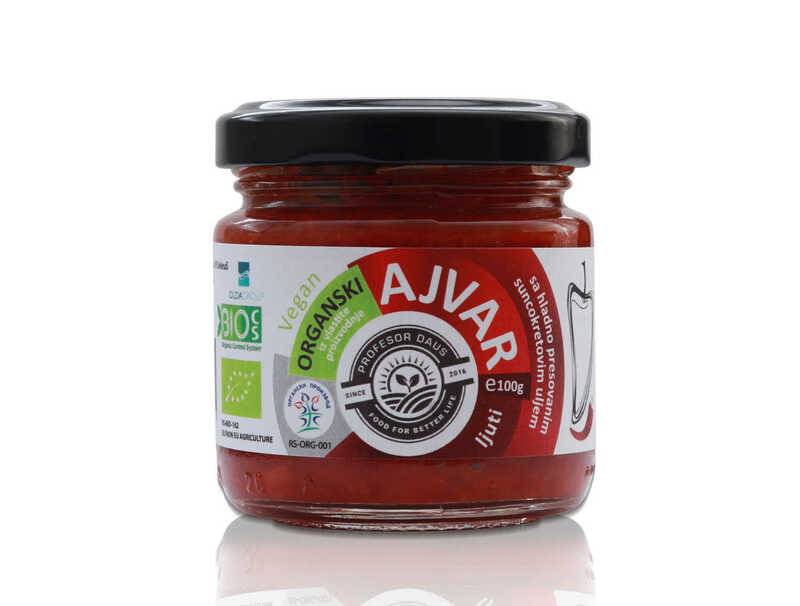 According to the local recipe, an excellent product is packaged, which is obtained from the best red organic peppers with the addition of organic garlic, whose taste you will recognize even with your eyes closed. 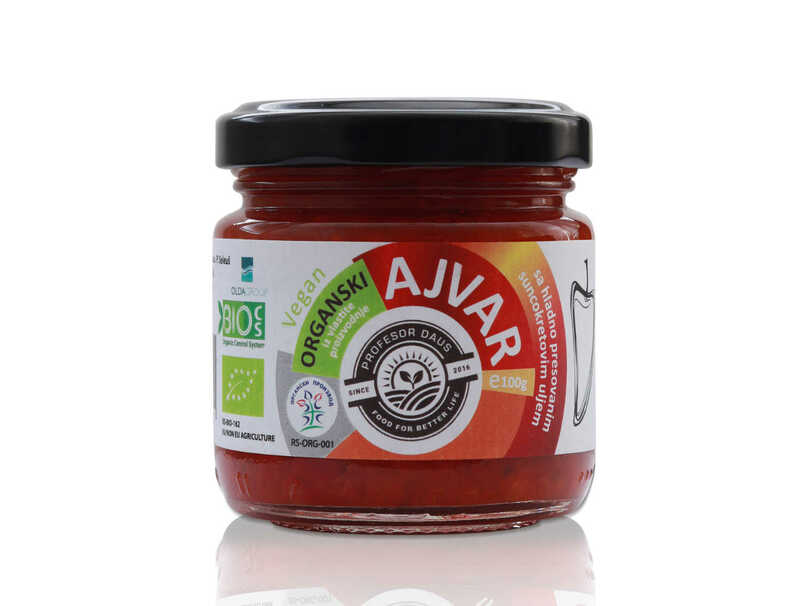 Spicy and yet delicate, slightly sour taste and delicate texture. 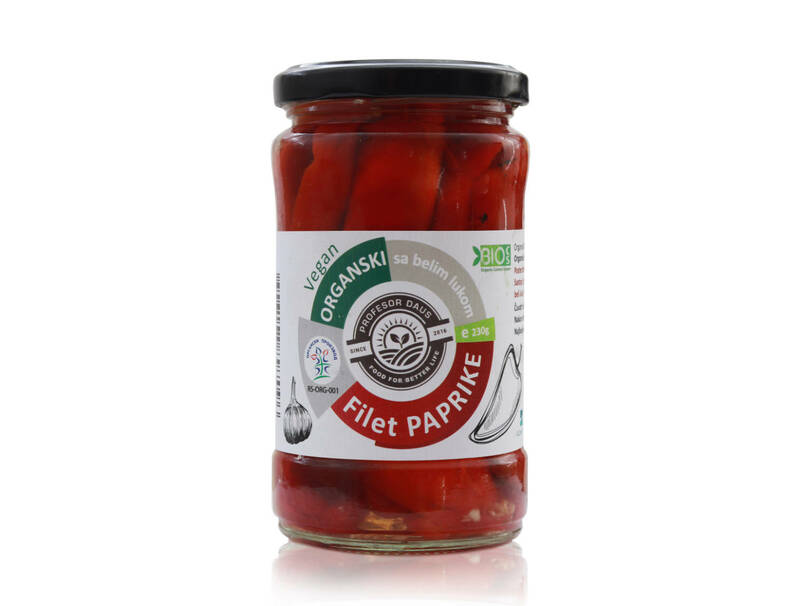 According to the local recipe, an excellent product is obtained, which we get from the best red organic peppers, whose taste you will recognize even with your eyes closed. Delicate, slightly sour taste and delicate texture.